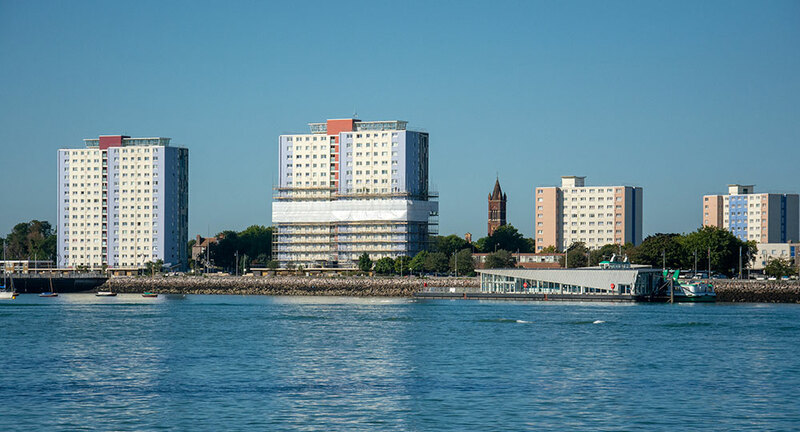 Axis is undertaking external wall insulation replacement on five, concrete-constructed, 16-storey tower blocks in southwest England. 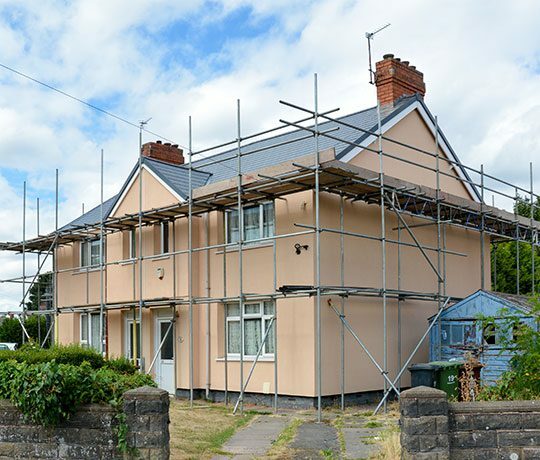 The works comprise the removal of 4,600m2 of existing external wall insulation system back to the original substrate and installation of new EWI to ensure the building’s compliance with latest standards and building regulations. The large blocks of flats which house 420 residential units will have cladding removed and reinstalled, during which time concrete and steel repairs and reinforcement will be undertaken. 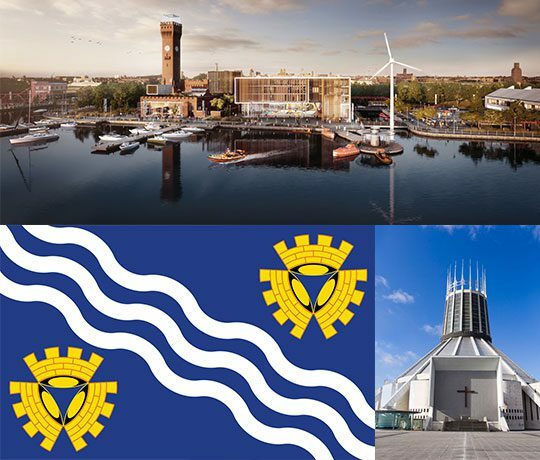 To facilitate the year-long works, Axis is also adjusting the position of the existing external gas risers and replacing all associated branch pipework into the individual flats, which requires the design and installation of new bespoke structural support system for the gas supplies. 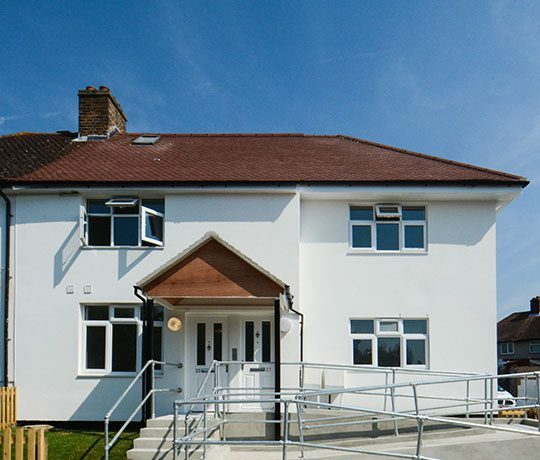 The mobilisation included Axis carrying out thermographic surveys and setting up a permanent site facility to coordinate the work effectively and act as a welcoming place for residents to drop in for updates about the work. Axis is also providing trained fire wardens to ensure fire safety for residents and the buildings ahead of the work completing. Whilst the objective of the improvement programme is to ensure the buildings meet fire safety standards, the works also presented the opportunity to redecorate all previously painted areas (including with anti-carbonation coatings) and also to preserve a large Listed mosaic-tile artwork with a transparent protective coating.